Hi, I'm Steve and welcome to my Driving School website. I am a fully qualified Government Approved Driving Instructor (ADI), and I’ve been trained in providing an excellent learning experience with the LD system, which is a fantastic programme designed to create safe drivers for the future. 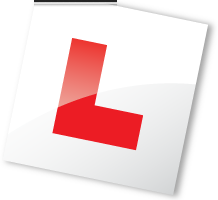 As a driving instructor you get a real buzz with helping learners to successfully pass their test, plus the fact you’ve encouraged them to drive safely and confidently from that moment on. It’s a job that just keeps on giving. When I told my friends that I was going to be a driving instructor, no one seemed that surprised with my choice, as I was used to training numerous people on a one to one basis within various companies, and I’m proud to count LDC amongst this unique set of companies that I’ve worked for; The British Museum, The Kennel Club and City College Brighton and Hove. 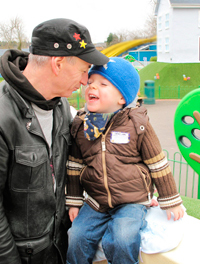 As a family, we’ve been in the Shoreham by Sea area for a number of years and currently, our son is at a local school. We really enjoy being here as it’s a place with great vitality and there’s always something going on, be it high or low tide. I chose to work with LDC because they understand that everybody is different, and the LD System allows for this flexibility in the lessons, so that you learn to drive safely and confidently at a rate that suits you. I aim to make every lesson enjoyable and as productive as possible. The LD System helps me to do this more effectively. The key to the LD System is that it is continually up to date with the latest adult coaching and training techniques, so you can be assured the training received will be of the highest standard, with respect to the DVSA requirements. Lessons are always conducted in a calm, friendly and relaxed manner as it’s essential that pupils need to feel at ease, in order to learn new techniques and skills required to become a successful driver themselves. When I’m not in the car and have family time off, I love cycling, and only a few years ago, I cycled the length of Spain in all weathers, which it truly was. Well I hope this gives you a brief idea about me, so please feel free to click here to "Contact me"